Plovdiv Game Jam is a local event that is part of the Global Game Jam. More than 80 people divided into 19 teams gathered for the second edition of the event in Plovdiv. Kremena, Steve and all other organizers and volunteers provided a free entrance and excellent conditions for all participants. My game development experience is limited to a game that I did as high school student in 2003 and to a not that successful open source HTML5 game wrapped with Cordova for mobile devices. I am very enthusiastic to join the game jam and to improve my skills. I joined the team of my friends Rangel and Nayden who were working on a 3D game created from scratch for Linux with OpenGL and SDL2. Both of them have excellent programming skills and it was pleasure to work with them. Most probably you are thinking that the game jam is a venue full of kids and childish grown ups developers... and you are absolutely right :) The challenge is big, almost no teams were able to create a fully working game but all participants had a lot of fun! The idea of our team was to create a 3D first person game. The working title of the game is tunnl. The player walks inside a tunnel and the objective is to escape enemies. At this stage the game was designed for personal computers only so the gameplay was limited to the usage of the left and the right keys. Additionally the player was able to quit using the ESC button and to toggle between normal and fullscreen with F.
The technology was definitely the most exciting asset of our game. It was developed using open source tools only. The game was created without any game engines so a lot of things had to be written from scratch. The project of the game was created with Qt Creator, pro file and qmake. Simple DirectMedia Layer 2 (SDL2) is the core of our game. This is a cross-platform development easy to use library. Linux, Windows and Mac OS are officially supported. The library is written in C and works fine with C++. 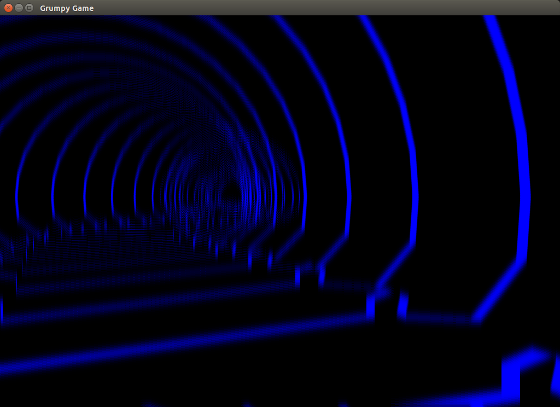 OpenGL is used for rendering of the 3D graphics. The 3D models of the tunnel and the enemies were created using Blender, the most popular free and open source 3D computer graphics software. These models were exported as Wavefront OBJ files which after that were imported and used by the game. Unfortunately we did not have enough time to finish our game on time. 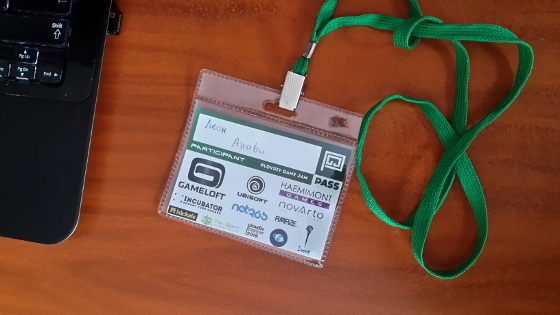 The global game jam coincided with an exception and Saturday was a working day in Bulgaria. Rangel and I missed almost the whole first day. During that time Nayden did a tremendous progress and set up the project in Qt Creator, created a Git repo at Bitbucket, the 3D models and core of the OpenGL features. Rangel improved the graphics and added enemies. My contribution was limited to the handling of the keyboard events, switching between normal and fullscreen as well as changing a few colors.